The Gun for bigger jobs. 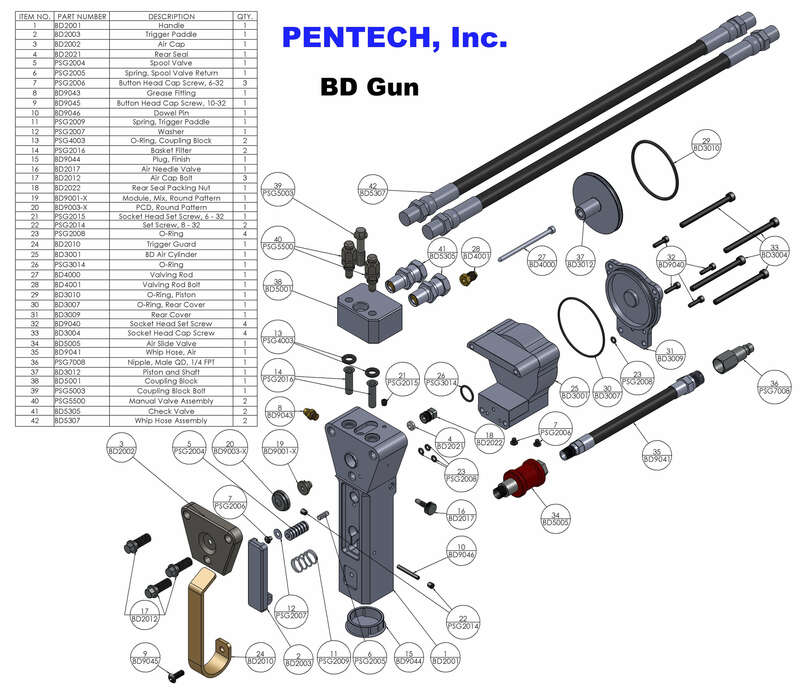 Same simple operation, setup, and maintenance as the MG gun, the BD gun is used when very controllable high output is desired. Flow rates and pattern width is approximate, and will vary depending on material viscosity, temperature, and pressure.